Alexander Jean Photos, News, and Videos | Just Jared Jr.
Lennon Stella, Sky Katz, and In Real Life step out in honor of the 2019 Grammys! The Nashville star, the Raven’s Home actress, and the boy band teamed up for the Westwood One Radio Roundtables event held ahead of the award show at Lexus Lounge on Friday (February 8) in Los Angeles. They were joined by Derek Hough, MKTO, Rachel Crow, Alexander Jean, Mark Ronson, Jake Miller, JD McCrary, Max Schneider, and Aubrey Miller. Listen to Lennon‘s new “La Di Da” (Hibell Remix) below if you haven’t yet! 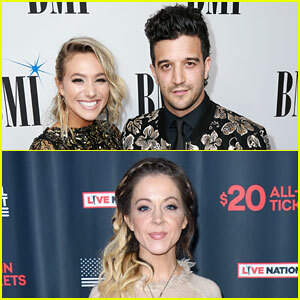 The musical duo – composed of married couple Mark Ballas and BC Jean – and the violinist shared the track with fans on Friday (June 8). Listen below! You can also download “Stampede” on iTunes. The couple, otherwise known as Alexander Jean, was joined on the track by American Idol alum Casey Abrams. Check out the video below, which premiered on Billboard and look out for the single tomorrow (November 30)! 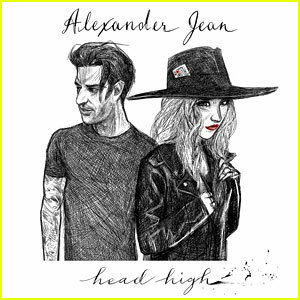 Mark Ballas & BC Jean Drop New 'Head High' EP - Download & Listen Now! Mark Ballas and BC Jean just debuted their brand new EP, Head High! 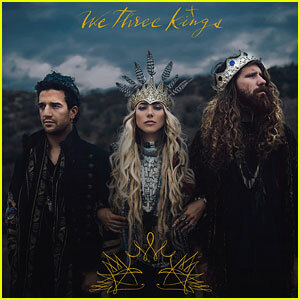 The Indie Pop duo, and engaged musicians, made an appearance on Live with Kelly on Thursday (June 2) in New York City, where they performed a song off the record. “Good Morning sunshine? ?Getting my face on for @LiveKelly Make sure to tune in, in a couple hours!!! @_AlexanderJean_ #Thief #HEADHIGHEP,” BC wrote on Twitter just moments before their appearance. Be sure to download Alexander Jean‘s Head High EP on iTunes NOW and watch their performance below! Mark Ballas says goodbye to fiancee BC Jean after she surprised him at the dance studio on Thursday afternoon (May 5) in Los Angeles. The longtime couple and musicians just announced their tour dates for Alexander Jean‘s Head High EP! 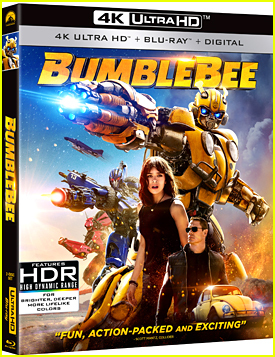 “Excited to share this news with you all. Check below tweet for info on how to see us this summer #HEADHIGHTOUR,” Mark shared with his fans after practice with celeb partner Paige VanZant. Sabrina Carpenter takes over the stage to perform at the 2016 What’s Trending’s Tubeathon held at iHeartRadio Theater on Wednesday night (April 20) in Burbank, Calif. The 16-year-old “Smoke and Fire” singer was joined on stage by Alexander Jean and Tyler Hilton, as well as Diamond White. Tubeathon is a star-studded digital telethon and variety show with musical performances, live entertainment and celebrity appearances and served as an early kick-off to the American Red Cross’ 2016 Giving Day, a one-day fundraising effort designed to increase public emergency preparedness awareness and raise funds for the Red Cross and its mission to help families who have been affected by disasters such as home fires.